There are many goldfish lovers in Indonesia. It cause many goldfish and its variants available in Indonesia. But it seems that no Pompom goldfish in Indonesia at this momment. 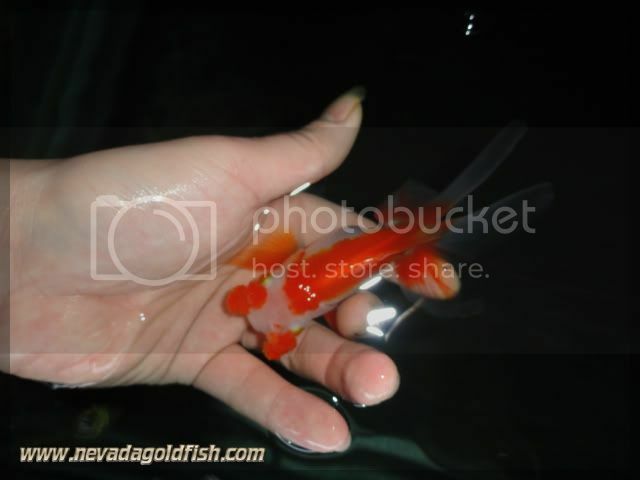 Nevada Goldfish commited to provide you high quality and rare goldfish, and that's why we import this Red-white Hanafusa goldfish to Indonesia. This is Hanafusa, a type of Japanese Pompom. Available for you who loves rare goldfish!